Statistical mechanics provides the formalism of Gibbsian ensembles for computing properties of equilibrium systems from a knowledge of the microscopic interactions between the constituent particles. Our understanding of nonequilibrium situations is less satisfactory. In the field of interacting stochastic particle systems nonequilibrium questions are studied in simplified models that are amenable to mathematically rigorous analysis. 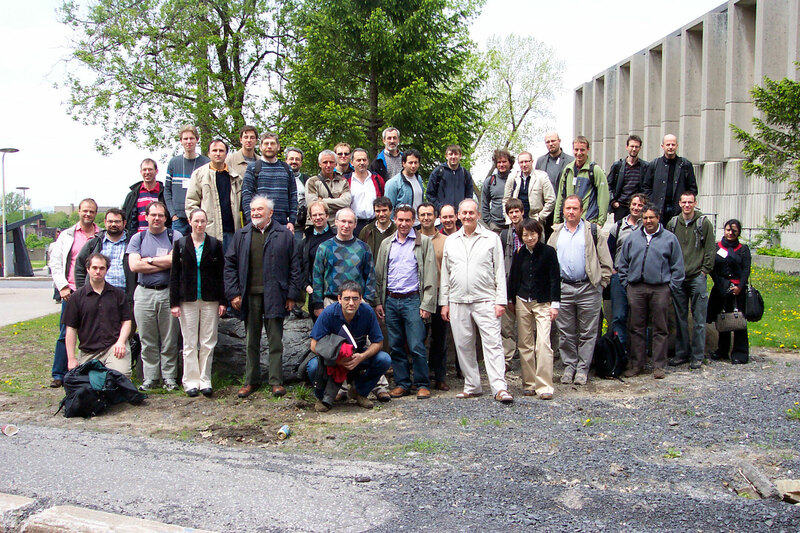 This workshop brings together researchers from interacting stochastic systems and related areas to survey recent successes and to map out promising future directions. Among these are the universality classes of fluctuations in one-dimensional driven interacting systems. In addition to exact limit distributions found in special models, the correct order of fluctuations has been identified for a general class of asymmetric exclusion processes. Another area of recent progress is the large deviation behavior of nonequilibrium stationary states in systems in contact with a reservoir. Interesting new constructions have been presented, such as multilayer systems that represent the stationary distributions of systems with several species of particles, and direct connections between queueing models, random walks and combinatorial methods have been developed.